In this video tutorial, you will learn how to integrate the Dropbox API, Google Drive API and OneDrive API in a Xamarin.iOS application. We will use the CloudRail Universal API for Cloud Storage which provides an abstraction layer over the different provider APIs. This step by step guide will show you how to use the universal API to accelerate the development process, how to get the respective API keys and how to deal with authentication based on OAuth. After 12 minutes you will be able to integrate any cloud storage provider which is supported by CloudRail into your Xamarin apps to let your users up- and download files or browse through their existing files and folders. This tutorial was originally made by Mujtaba Alam for Microsofts Channel 9. All learnings can easily be applied to Xamarin.Android apps as well. You can find the source code used in the video on GitHub. 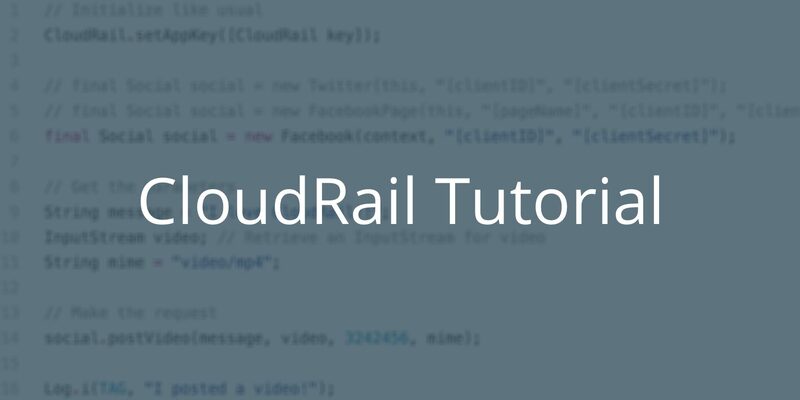 Sign-up for a free CloudRail account now to get started.